This is a very short novella about Della Tsang, a main character from Born at Midnight, but takes place before that and shows us how she came to be what she is in Born at Midnight. St. Martin’s Griffin gave this away as a free e-book on the same day that Born at Midnight was released. 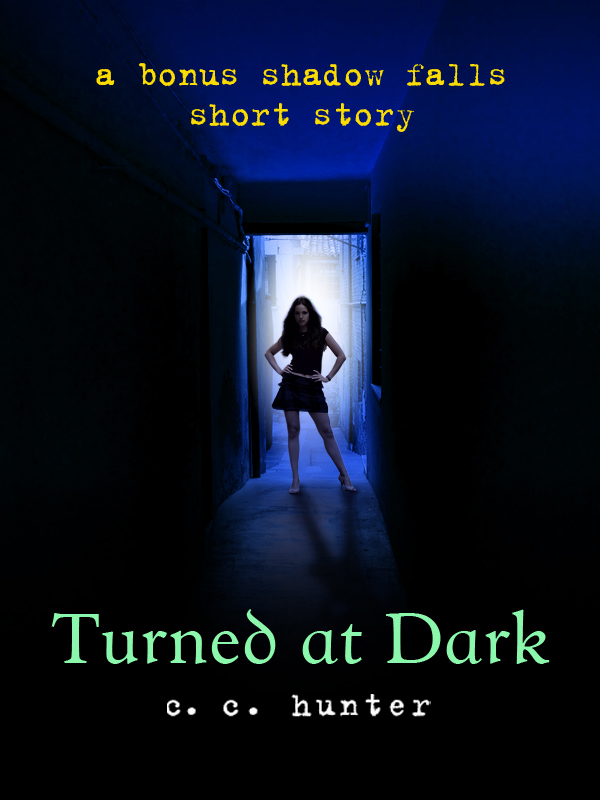 Turned at Dark was a very quick and interesting read, and I recommend it to anyone who has read and enjoyed Born at Midnight. It gives us more insight into Della as a character, and the reasons why she acted the way she did in BaM. We also get more insight into her cousin Chan, who made a brief appearance in BaM. I liked him very much, and I hope he makes a bigger appearance in the rest of the series. In this short story, we get to see how her life was before she was turned, how she interacted with her family and the pressures put on her by her father to be perfect. And then we see her transformation into a vampire, which also gave us some first hand insight into how it works to be turned into one, in case anyone was confused from the description in Born at Midnight. Overall, it was a good little story. Anyone who wants a little more of the Shadow Falls world before Awake at Dawn comes out, this is the perfect thing for you.